Benloi PH guarantees that all the products on this website are 100% Authentic/Genuine. 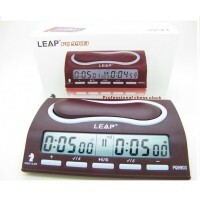 All products are sourced directly from Manufacturers and Authorized Brand Distributors only. We do not sell or condone replicas, fakes, imitations, A grades, B grades or factory variants. When Ordering Footwear & Apparel, Ensure that you order the correct size. In the event that the footwear/apparel does not fit as anticipated, We are only able to accommodate return and exchange requests within 1 to 2 days from the date you receive the item. Shoes/Apparel may only be exchanged to a different size OF THE SAME BRAND and MODEL. Exchanges for a different merchandise, shoe model, or apparel model, will not be accommodated. Customer pays for the return shipping and the cost to ship the replacement item. Need help with your footwear size? Click HERE. Need help with your apparel size? Click HERE. Click HERE for more details about our Footwear and Apparel Return/Exchange Policy. DGT 960 DIGITAL CHESS CLOCKThe new way to play! 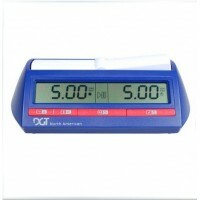 The revolutionary foldable DGT 960 chess clock can e..
DGT North American clock uses 10 built-in algorithms to give a complete range of timing choices, plu..
DGT 2010 (the official chess clock of the World Chess Federation FIDE) is in full accordance with th..
Main Feature Features: 1, Positive timing and presettable countdown timer, maximum 10 hours&nbs.. 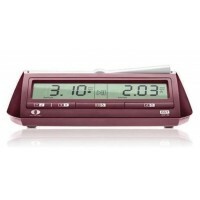 The DGT Easy is the first digital chess clock for everybody and for every game. 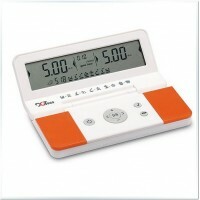 The Easy clock combi.. 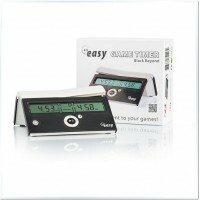 The DGT Easy is a digital chess clock for everyone and nearly every game. 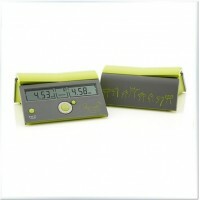 It combines high quality w.. 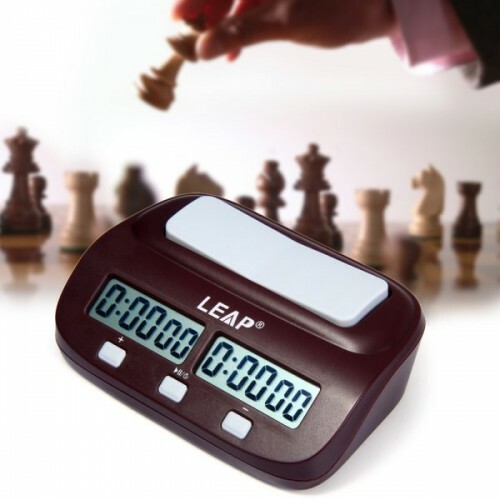 Features:‧ 6 Chess Modes: Countdown, Bonus (Fisher), Delay, Restrict, Time and Byo-yomi‧ With the 6 ..
EASY GAME TIMER JUDIT POLGAR DIGITAL CHESS CLOCKJudit Polgar, the greatest female chess player in th..